A choice of over 450 BDF swap bodies and swap trailers of different versions is constantly available on our 25,000 m² exhibition area. 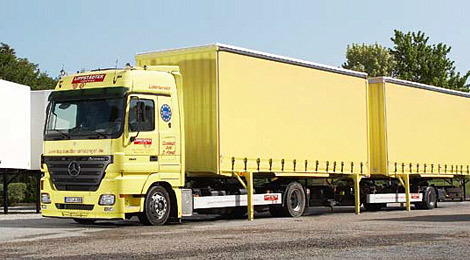 An overview of the range, from inexpensive swap storage containers to flat bodies for the construction material sector, swap body tilt covers with different curtain systems or closed swap bodies with different interior equipment in steel, aluminium or plywood plus precise technical and commercial information is available in the vehicle search. ISO / refrigeration swap bodies in function-tested quality, with or without refrigeration unit, can also be found here. 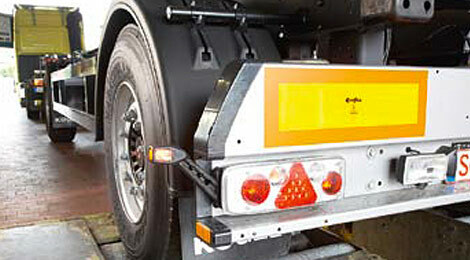 All swap bodies or swap trailers (trailers for swap bodies) can be upgraded by us to meet your specific purposes. 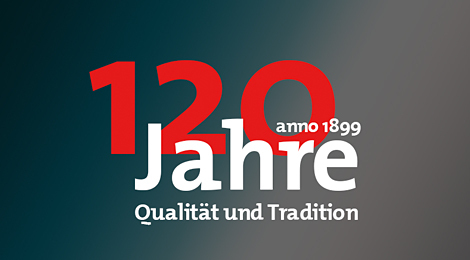 Of course, you can also purchase your swap trailer from diverse manufacturers via Lippstädter Anhänger. As BDF swap bodies are not subject to recurrent, obligatory technical inspections following initial commissioning, we have the proper function of all technically repaired and converted swap bodies checked by a DEKRA expert prior to operation. After testing, all function-tested swap bodies are issued with the DEKRA quality seal shown in the illustration. This provides you with the ultimate certainty that you have made the right decision. At the request of the customer, all swap systems can be brought to your desired logistical location by our modern vehicle fleet and specially trained service personnel at a transportation price (additional charge) which is updated on a daily basis. This saves you considerable personnel and operating costs. Reliable forwarding agents are additionally used. Of course, our customers can also collect their newly acquired swap body or swap trailer in Lippstadt with their own lorry. The swap bodies and trailers are always ready and waiting, in the agreed condition, on the collection date. Naturally, we also complete all customs formalities required for export for our customers. 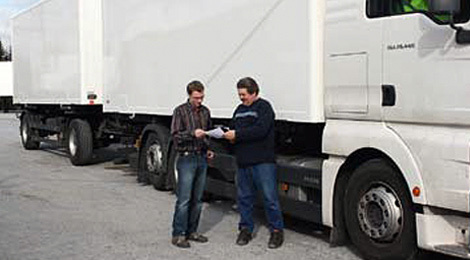 On request, unfamiliar swap body drivers can also be provided with brief familiarisation by our experienced personnel at Lippstädter Anhänger. Discover the quality of our services for yourself. All trailers for swap bodies are technically repaired, come complete with new main inspection / safety inspection, are primarily repainted and are available ready for operation from the storage facility.